Hayley and her lifelong friend Logan were rescued by police and animal control from a poor living situation of an unknown length of time. The shelter obtained custody of them and searched for a rescue that would take two seniors in need of help. DRNA would not turn their back on these pups, and promptly agreed to take them. Hayley is estimated to be about 12 years old. 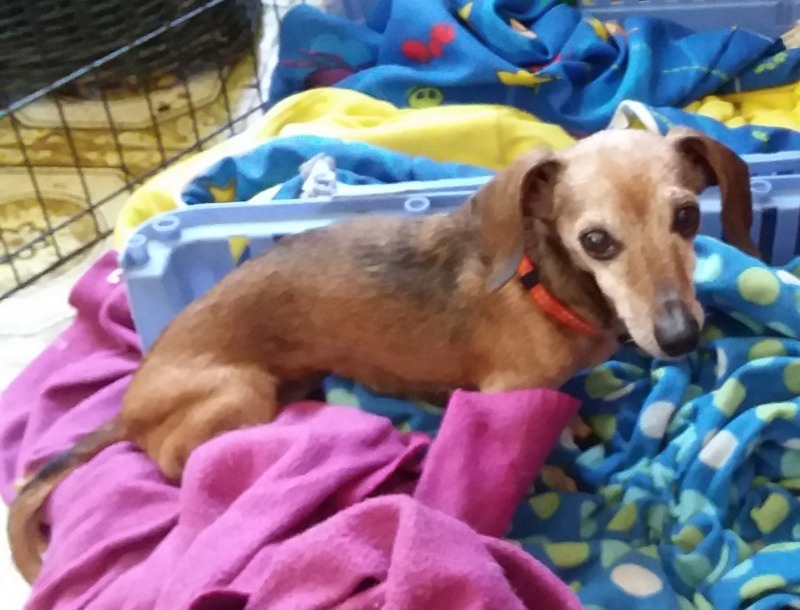 Hayley is a nice and quiet girl, enjoys belly rubs, and seems to be housetrained. Her teeth are in terrible condition and as soon as she is stronger she will have a dental. Her labwork is all normal but she does have a heart murmur not requiring any cardiac medications. She has begun to eat soft food better with some pain medication to help her eat without pain and has become more active and inquisitive as she has started feeling better. 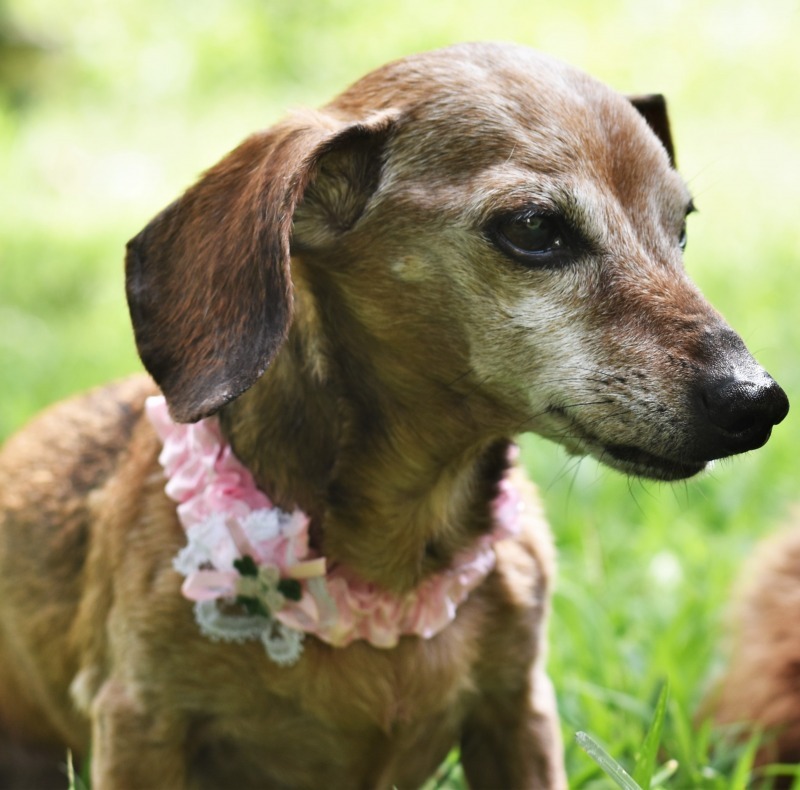 Hayley will be available for adoption after her dental and must be adopted with her friend Logan, who also needs to gain weight before he can have his dental done. Stay tuned for more recent photos of this nice pair. They are learning to enjoy their lives, especially their food!